Summer is almost here and outages and brown-outs are prevalent. 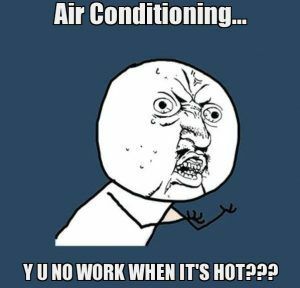 Despite us harping on the same tune of much needed surge protection due to these factors, we are reaching out for something more valuable—air conditioning! After being in idle for months, the motor may require more current to get it going. Often times this leads to a fuse blowing at the disconnect. Ensure the fuses are not blown. Brown-outs is a condition where many high energy consumption appliances are being utilized (air condensers). The reason for the dimming of the lights (brown in color) is because as the power consumption rises, the voltage drops. When the voltage drops, apart from having the dimming effect on you light bulbs, it restricts the power needed for your condenser which in turn puts a higher amp draw on its breaker/fuse. This also can lead to premature wear on the condenser motor. Due to vibration and time, the terminals for the connections on the condenser may have come loose. Make sure all connections are tight. Sometimes the connections are loose on the motor connection and make contact with metal which blows the fuse. Clean any leaves and dirt which may have come in contact with the condenser fins. This restricts the dissipation of heat which offers less cooling of your home—it doesn’t always mean it needs charged! Check capacitors with a capacitor tester. Replace with same if bad. Make sure your thermostat works by bypassing it and seeing if the relay/contactor closes on the condenser. 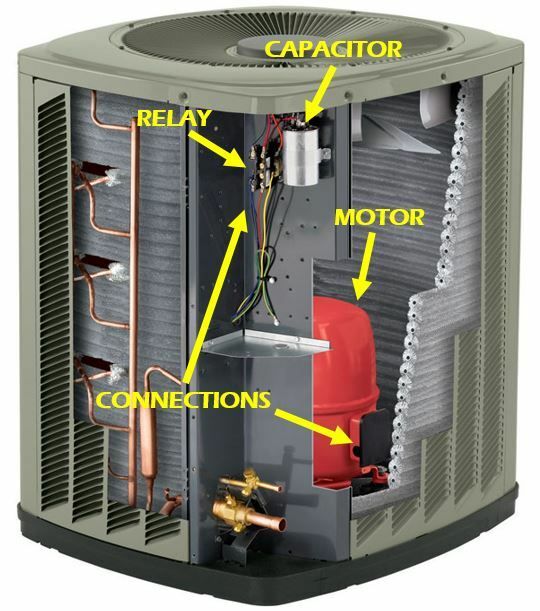 Make sure the breaker for the condenser is in the “ON” position—yes…many people overlook this! *Air condensers and handlers are energized with dangerous voltages and should be checked by qualified individuals only using the proper equipment and protection. Troubleshooting tips are guidelines for experienced technicians; and, advise against working on your own unit if you don’t have the qualifications and experience. Make sure you turn the power “OFF” before performing these tests. Not adhering to this warning can lead to shock or electrocution.